Debra Crerie is out-numbered, to say the least, when it comes to umpiring. She is one of only a few female Little League Baseball® umpires, but does not let those statistics hold her back from doing what she loves. 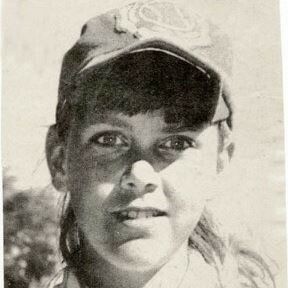 Debra Crerie as a 10-year-old bat girl in Irondequoit, N.Y. Since she was a little girl, Ms. Crerie has loved baseball. Although girls’ participation in Little League® was not allowed until after she had outgrown that opportunity, she remained involved with baseball all throughout her childhood. Growing up in Boston, Ms. Crerie was a big Red Sox fan and loved going to the games with her grandfather. At just 10-years-old, she served as a “bat girl” for the Irondequoit High School baseball team in New York before eventually taking over as the “bat girl” for a semi-pro team in Baltimore – the Muxworthy Orioles – from 1962-65. Later in her life, when her son Gabe joined Virginia’s District 10 Little League, Ms. Crerie wanting to get involved but felt the need to do something more than helping in the concession stand or serving as a “Team Mom,” so she decided to become a volunteer umpire. To this day, Ms. Crerie and her son still laugh about the time when she struck him out while umpiring one of his games. Fellow umpires began encouraging her to get umpire training, so she reached out to Little League International to attend its umpire training program in Williamsport, Pa. Ms. Crerie was amongst the first class of women to be trained at the Little League International Complex, receiving training from Frank Rizzo in 1988. Along with her love for baseball, Ms. Crerie has always had a passion for art and even designed nine Little League pins. 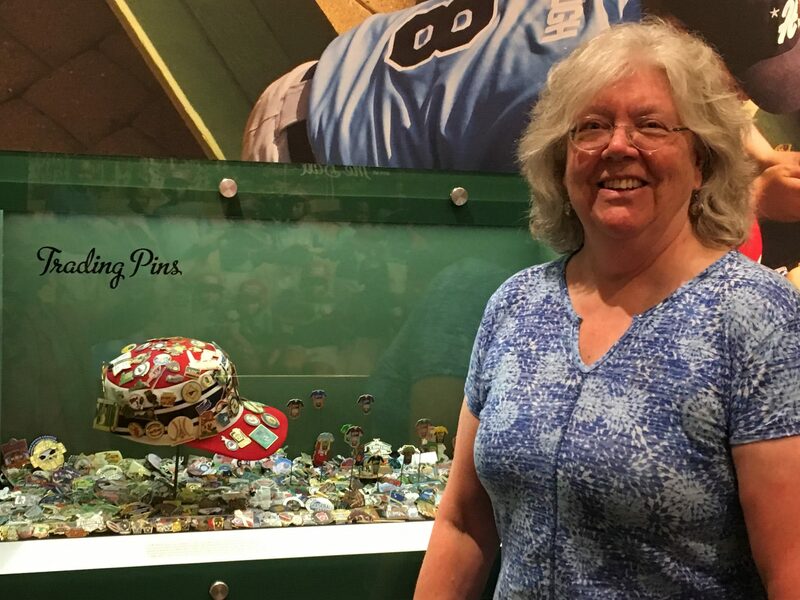 Inside the World of Little League® Museum and Official Store, some of Ms. Crerie’s pins can be found as part of an exhibit that includes a baseball cap from Cliff Glier, otherwise known as “The Voice of Little League,” decorated in Little League pins. For Ms. Crerie, this exhibit holds a special place in her heart because of the close friendship she had created with Mr. Glier over the years. “It was really neat to see an exhibit dedicated to pins that have been created over the years – nine of which I actually designed!” said Ms. Crerie. Ms. Crerie hopes that her service as a female umpire and her dedication to the game will inspire other women to get involved in Little League. “There are plenty of ways that women can get involved in Little League, all you have to do is ask,” said Ms. Crerie. As a former teacher, Ms. Crerie understands the importance of the impression that adults can have on children, whether in the classroom or in the community, and exemplifies that during her service as an umpire. “Although you might not see the direct results at the time, you never know the impact you’re going to have,” said Ms. Crerie.